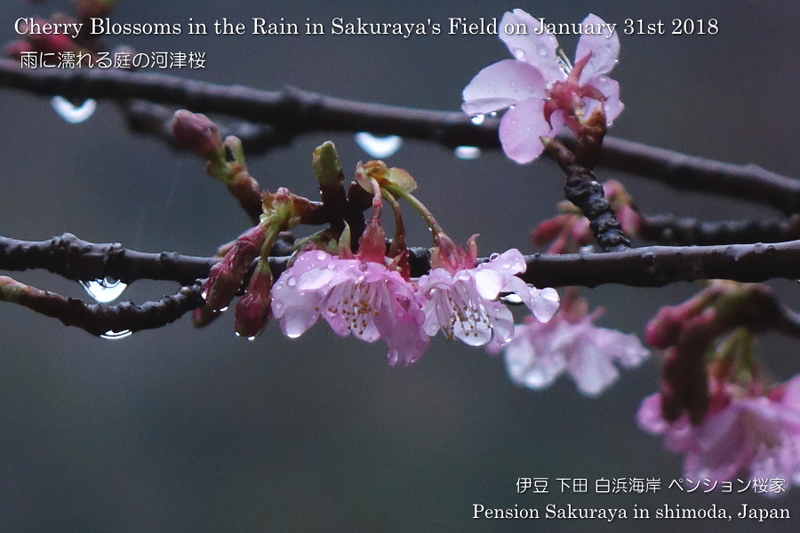 It was rainy here in Shirahama today and the Kawazu sakura tree in our field was blooming in the rain. 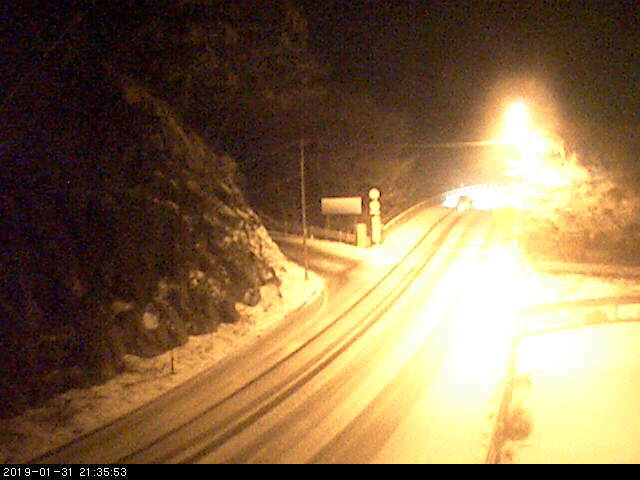 Now it’s 10:00 PM. 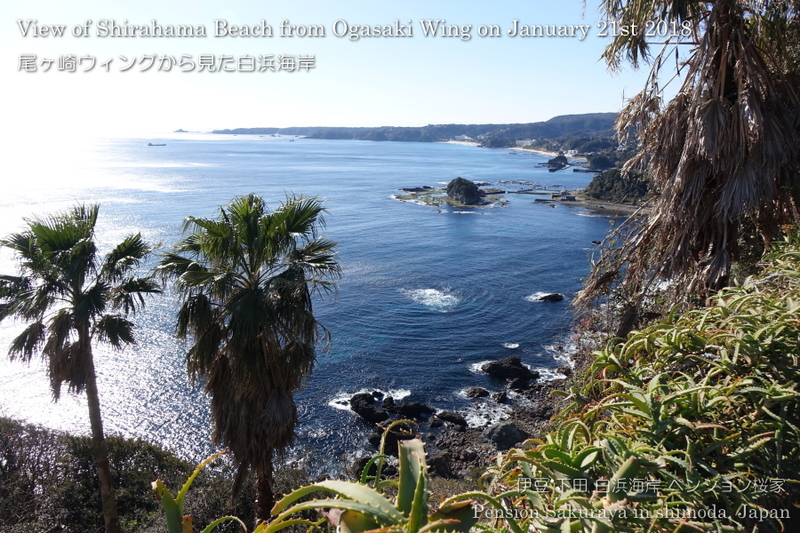 We have heavy rain and strong wind in Shirahama but they have snow in Amagi mountain in Izu peninsula. 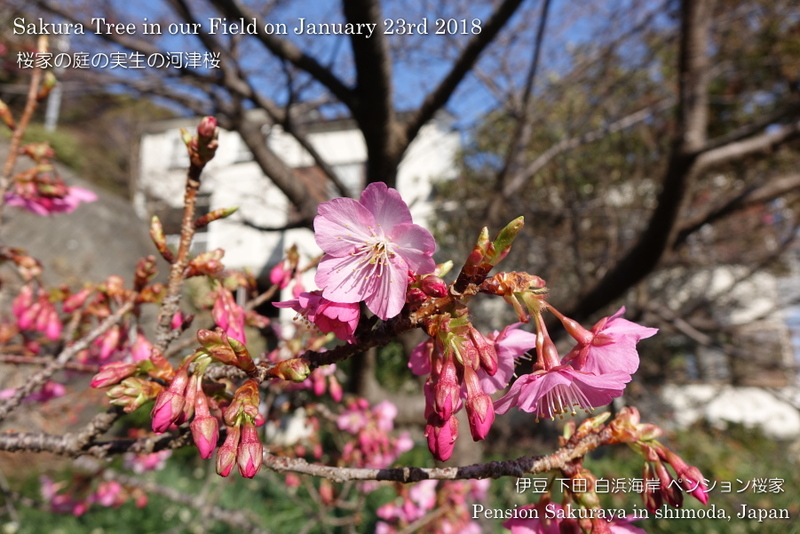 This entry was posted in Flower, nature on 2019年1月31日 by izusakuraya. 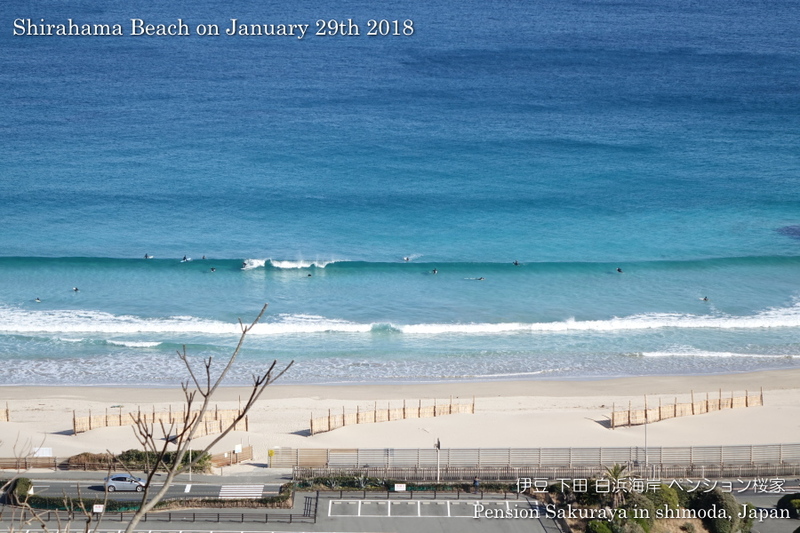 It was sunny and there was no clouds in the sky today. 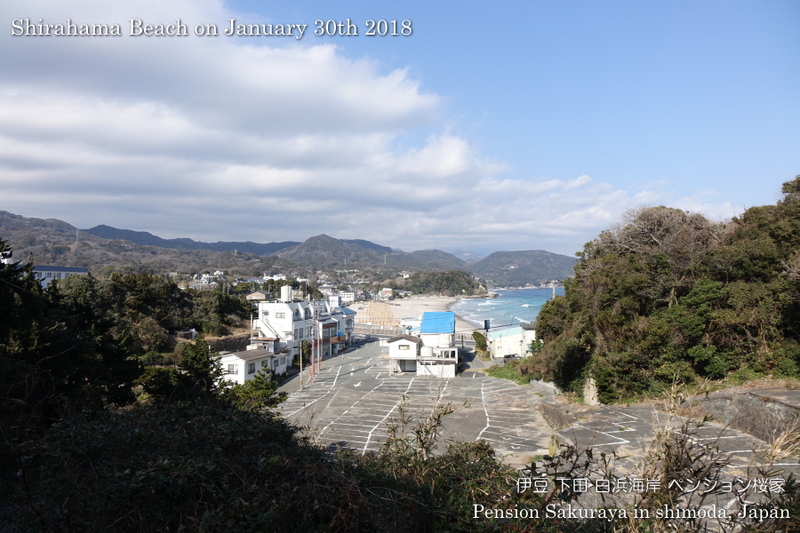 I took these photos before walking around on the hill behind Sakuraya this afternoon. 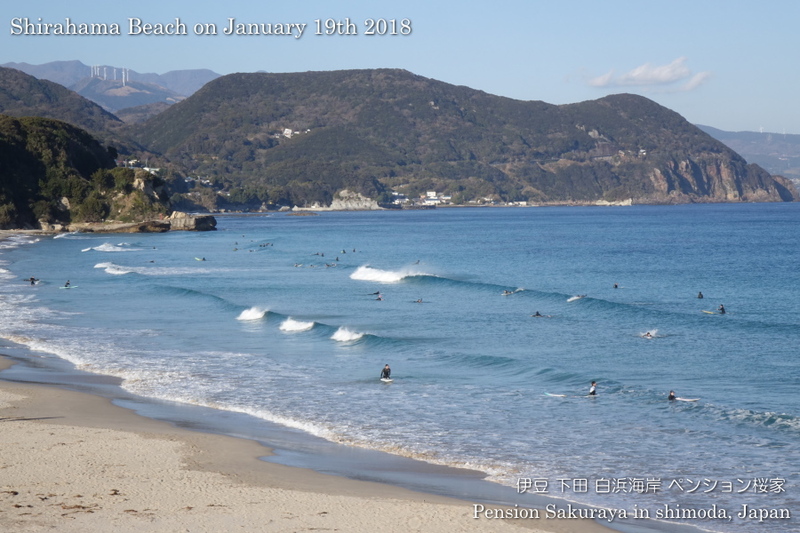 This entry was posted in beach, Sea on 2019年1月29日 by izusakuraya. 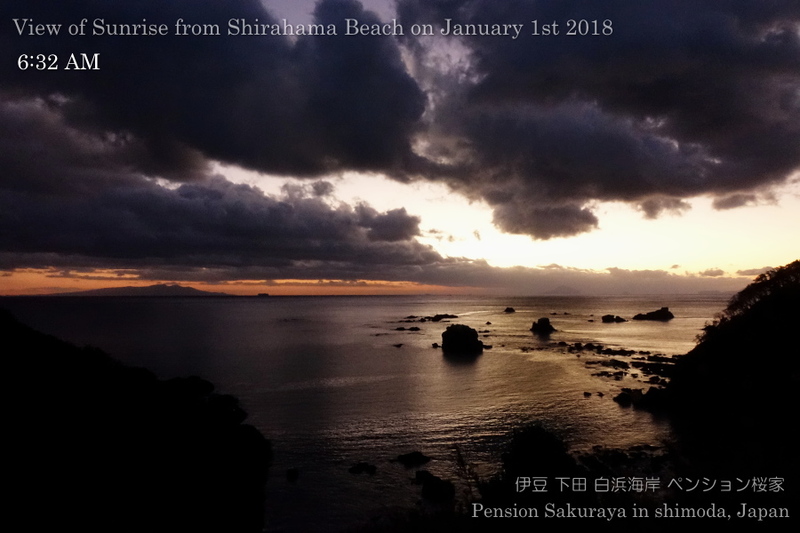 We started practice for this concert in last March and will have a stage on March 16th Saturday in Shimoda. 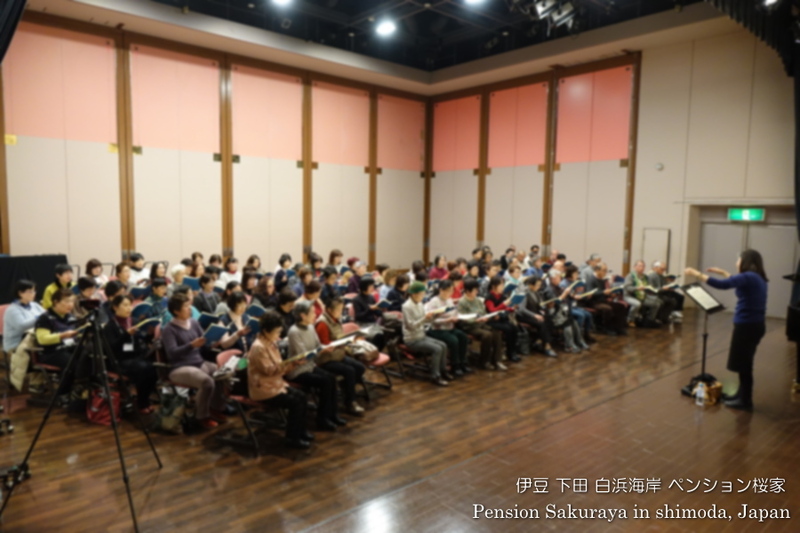 More than 100 people will participate this concert and practicing now. 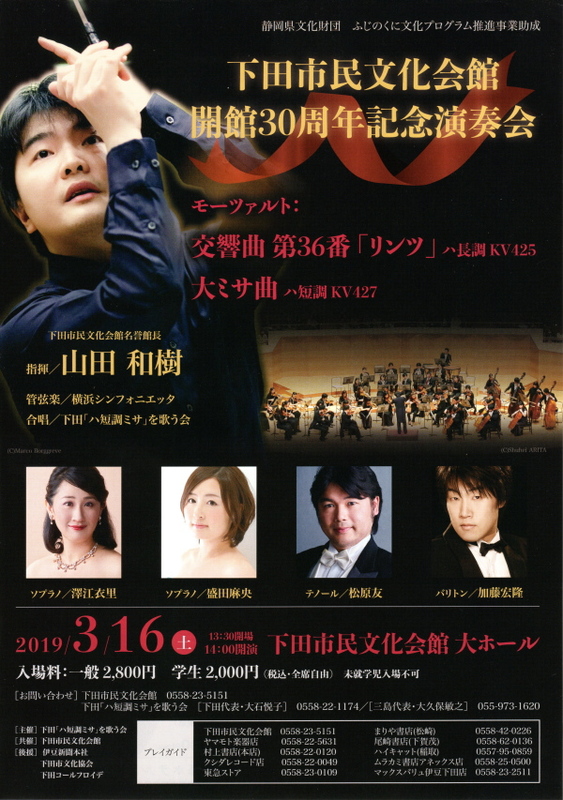 I still have some tickets for this concert now. 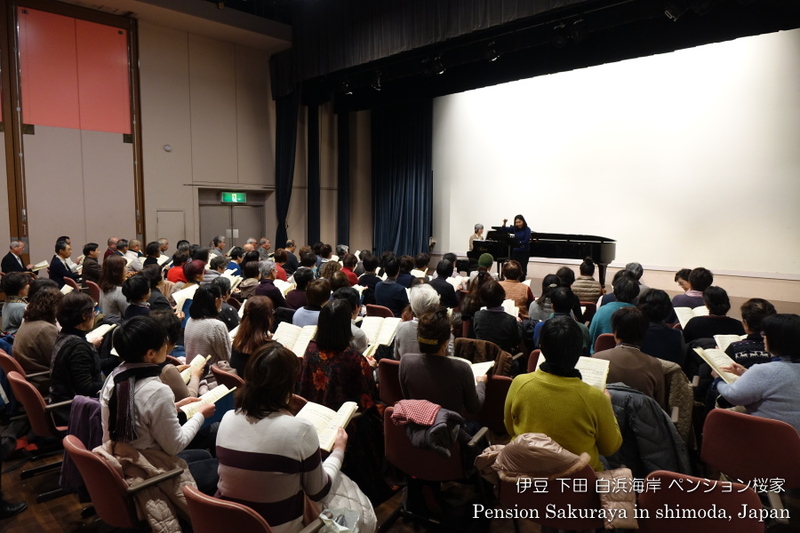 If you are interested in Mozart Missa in C, please let me know! 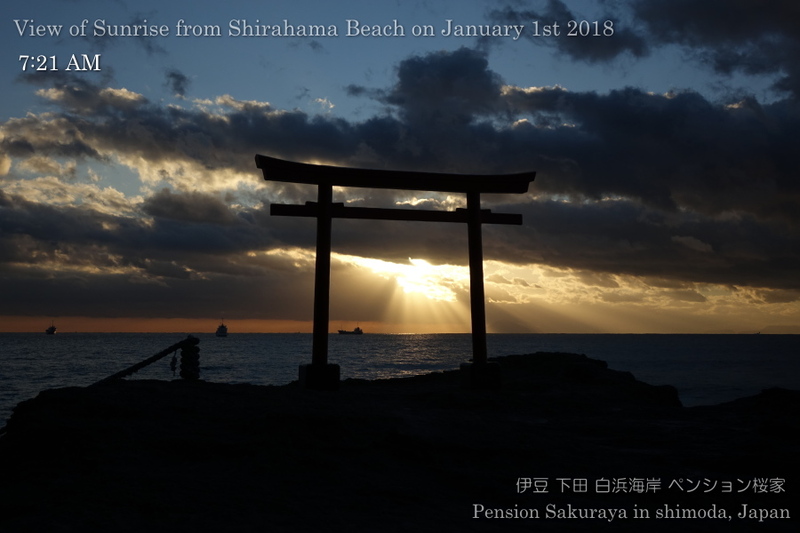 This entry was posted in Family on 2019年1月24日 by izusakuraya. 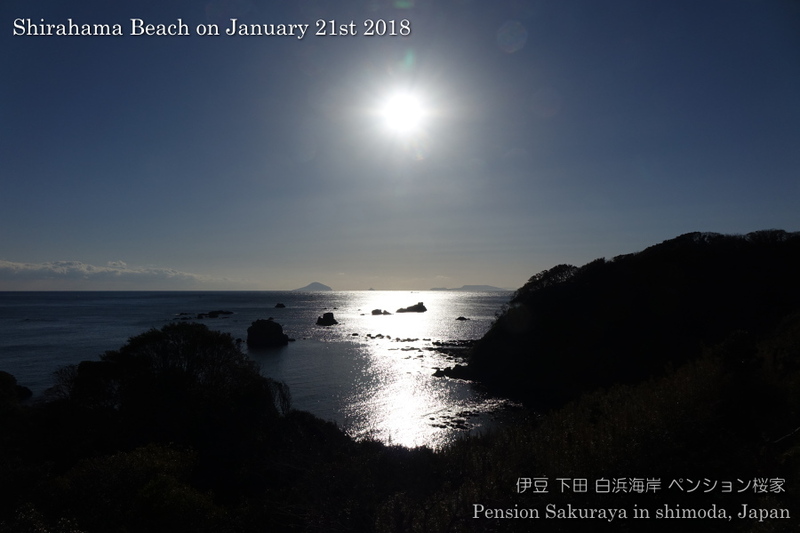 This entry was posted in Flower, Pension Sakuraya on 2019年1月23日 by izusakuraya. 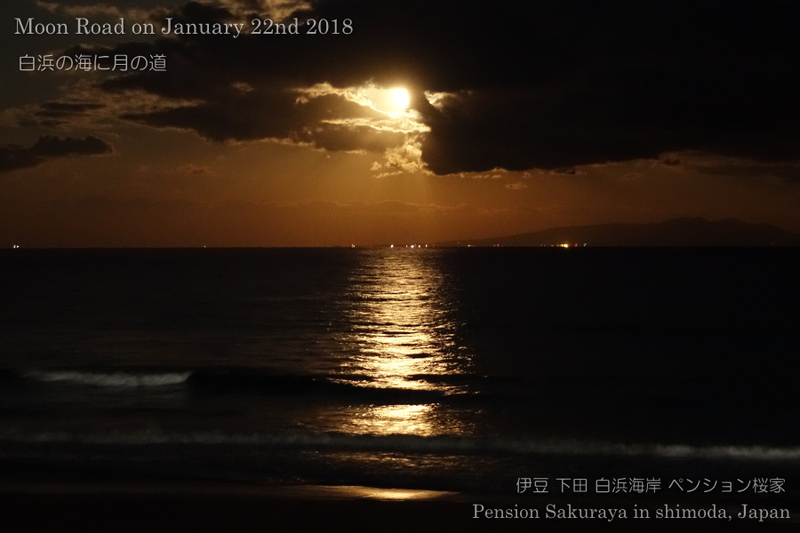 When I went out to go to the Seven Eleven nearby, I found out the red moon on the horizon. 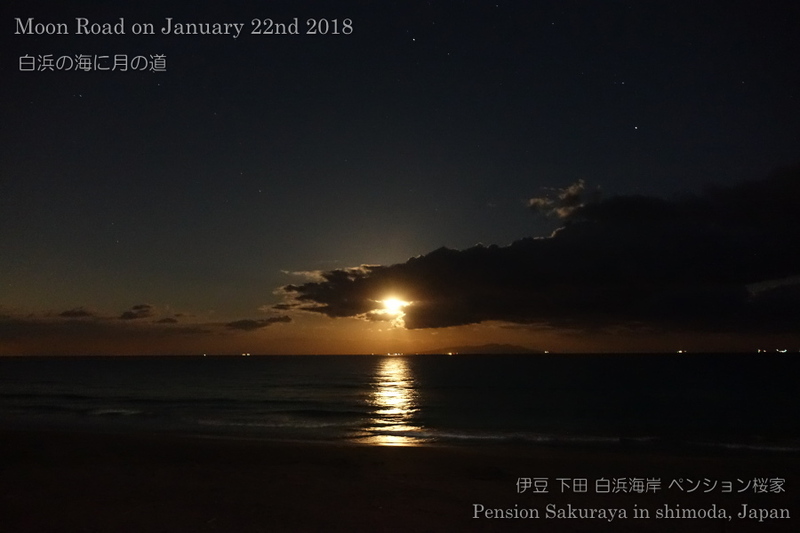 So I went to the beach to take photos of the beautiful moon. 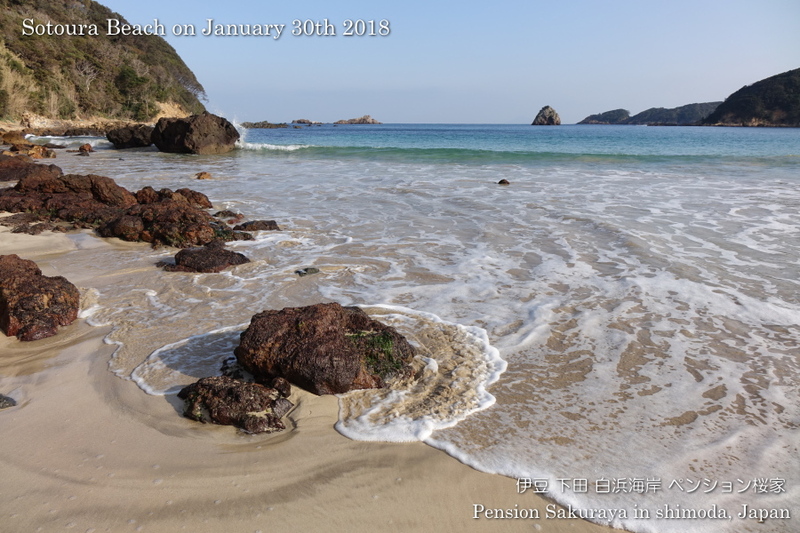 This entry was posted in beach, nature, Sea on 2019年1月22日 by izusakuraya. 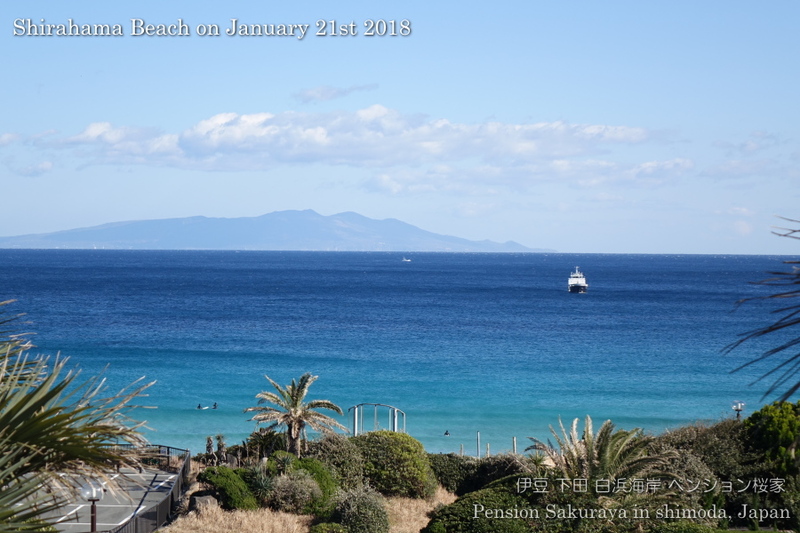 We had a little west wind but it was beautiful today. 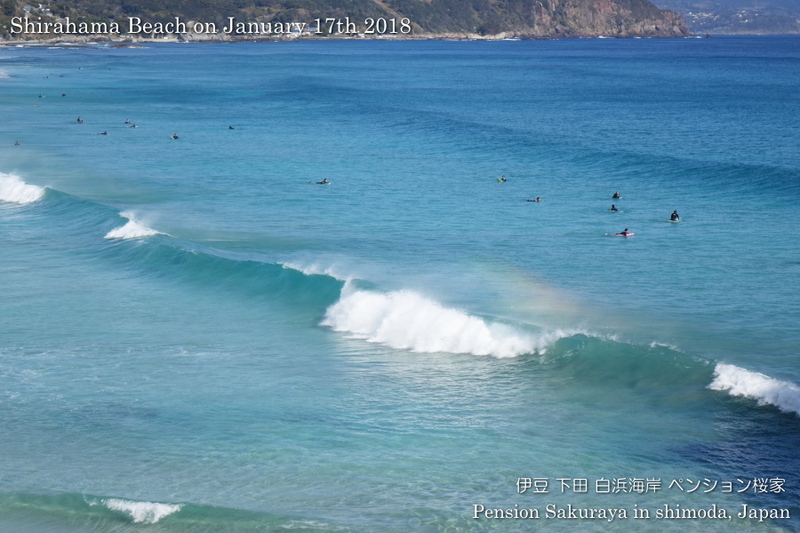 I took this photo between Shimoda and Shirahama. 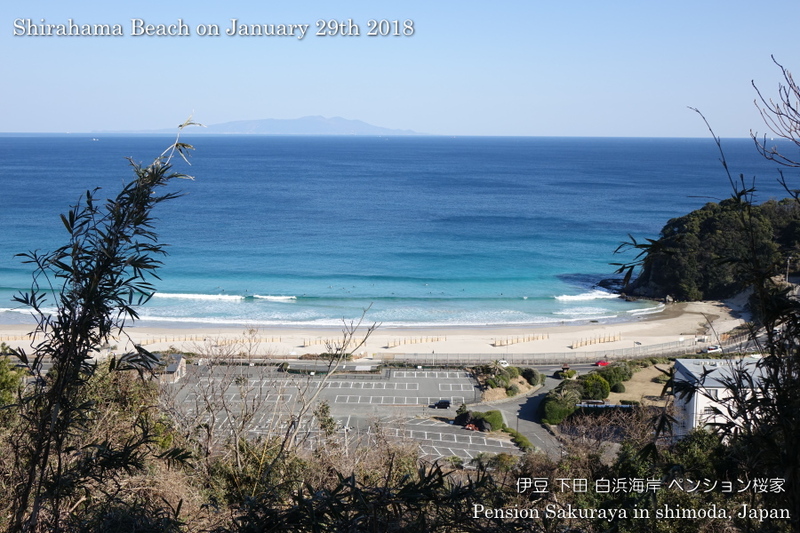 This place is one of the best view points in Shimoda city. 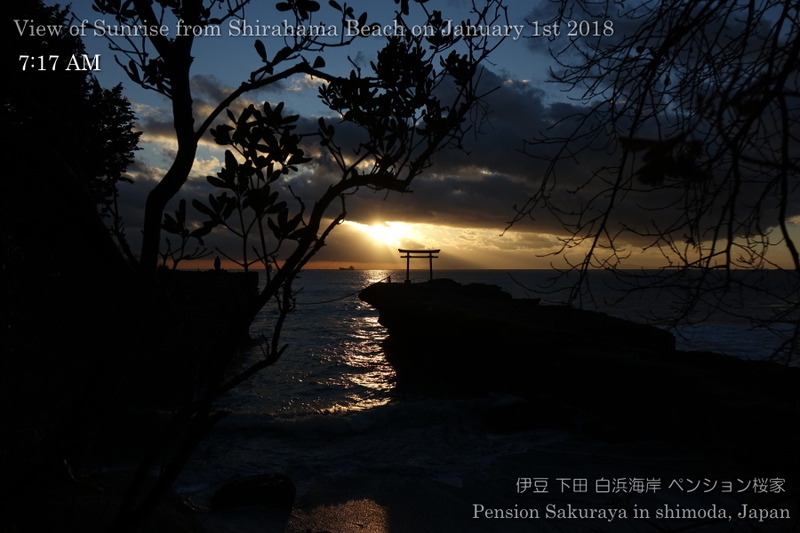 We are able to see Shirahama beach from this point. 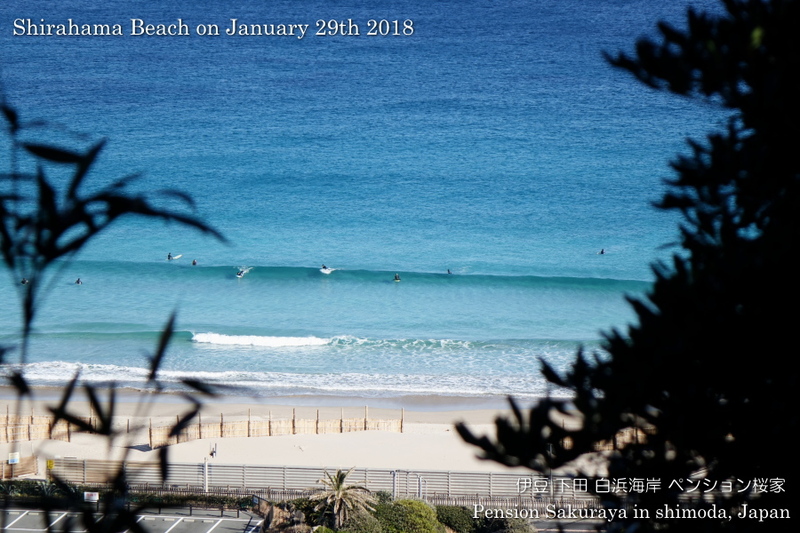 I took this photo on the way to our house on the hill from route #135. 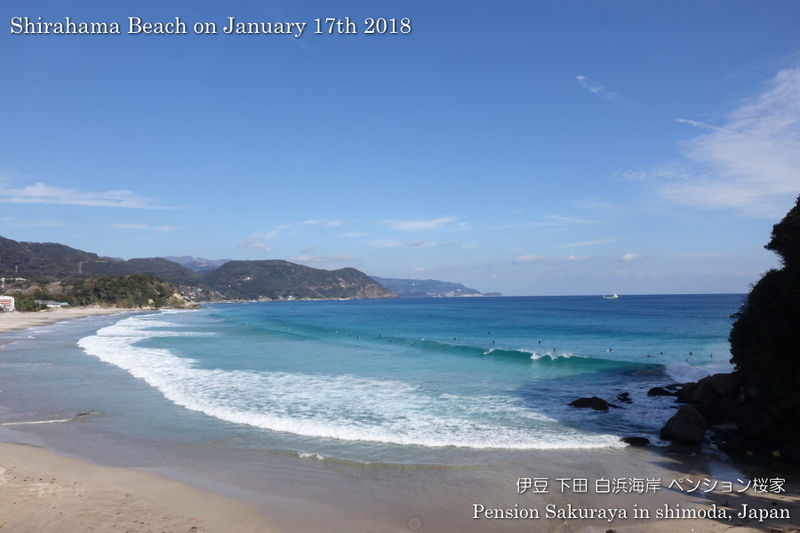 This entry was posted in beach on 2019年1月21日 by izusakuraya. 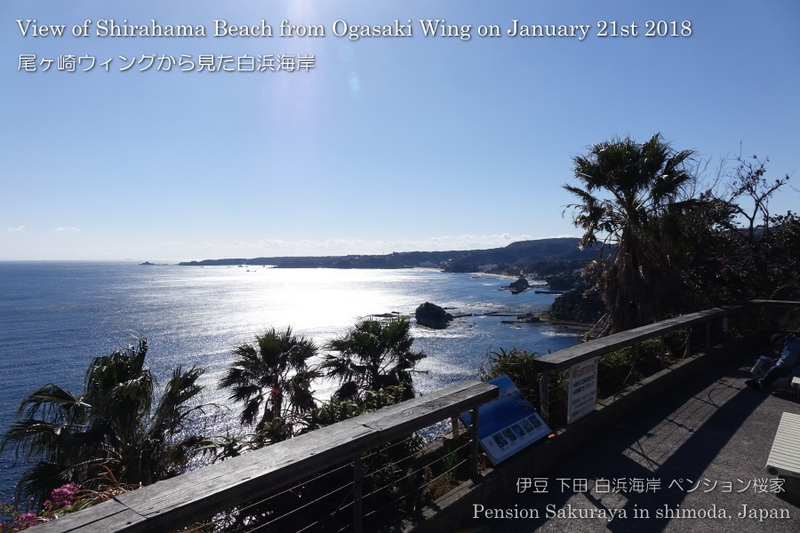 It was sunny and we didn’t have wind, so it was very warm here in Shirahama toady. 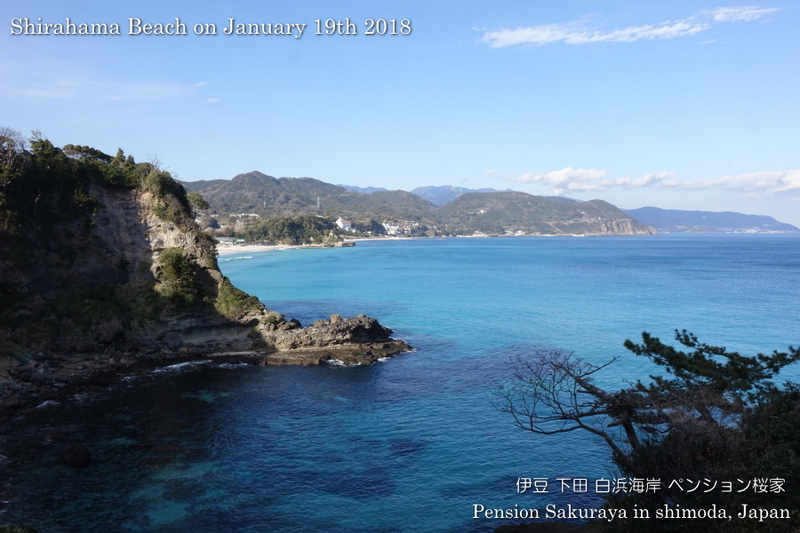 This entry was posted in beach on 2019年1月19日 by izusakuraya. 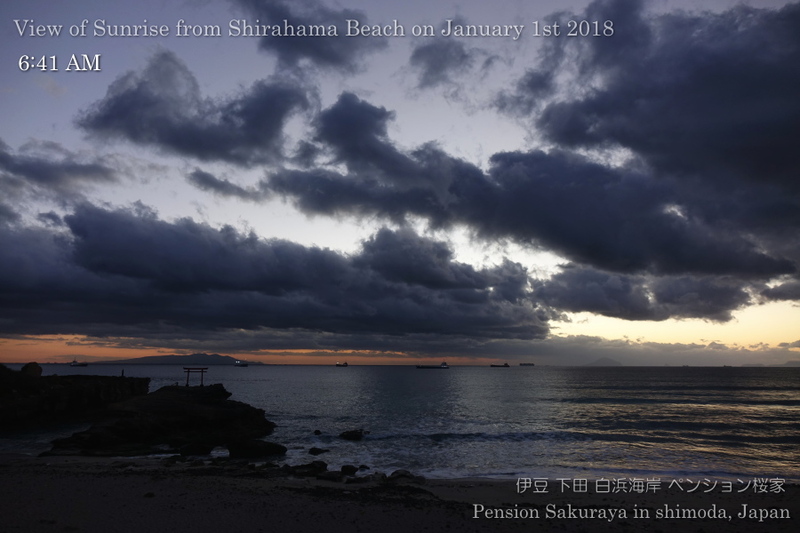 In this season the sunrise time is around 7:45AM. 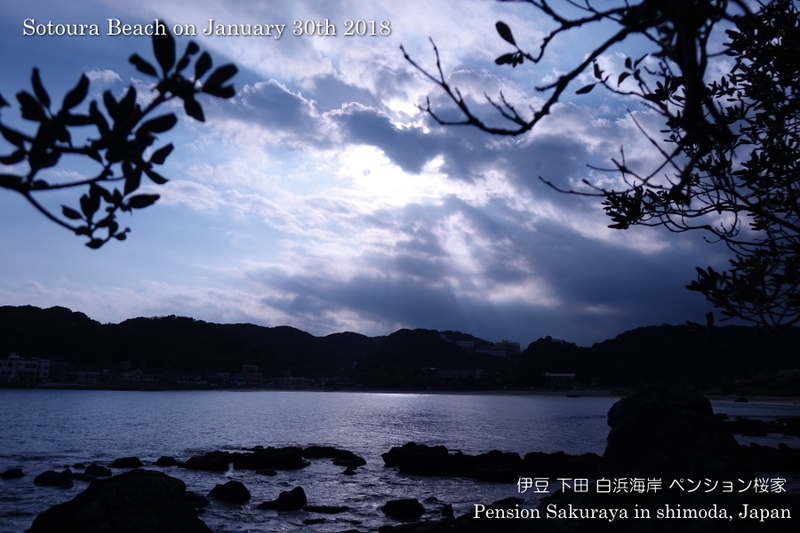 I wanted to take photos of the morning sun which rises above the norizon, but there were a lot of clouds….. 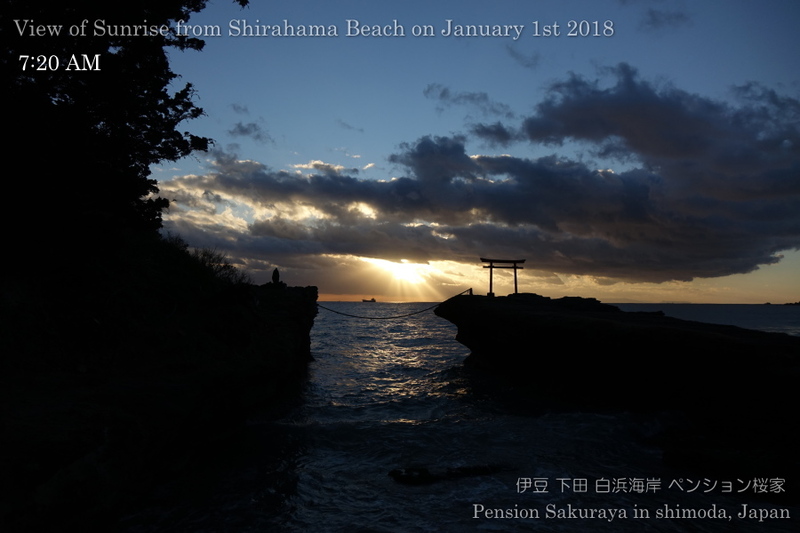 This entry was posted in beach, nature, Sea on 2019年1月18日 by izusakuraya. 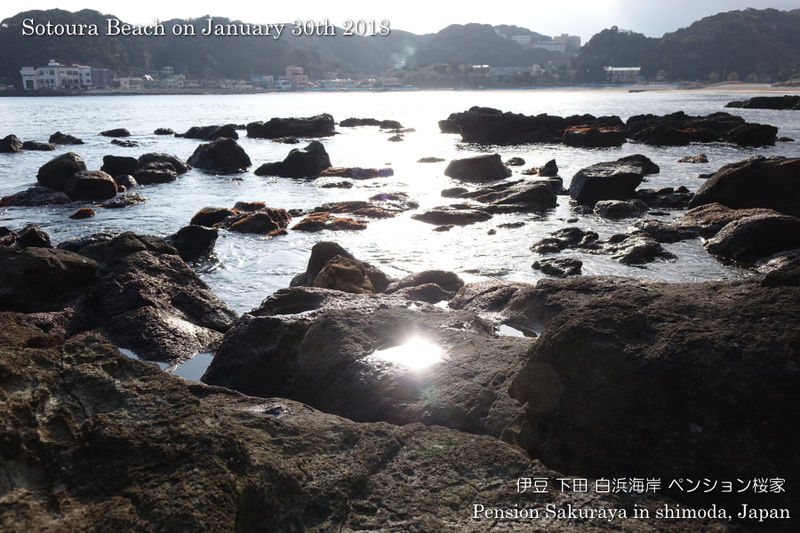 I took some photos before going to Shimoda for shopping. 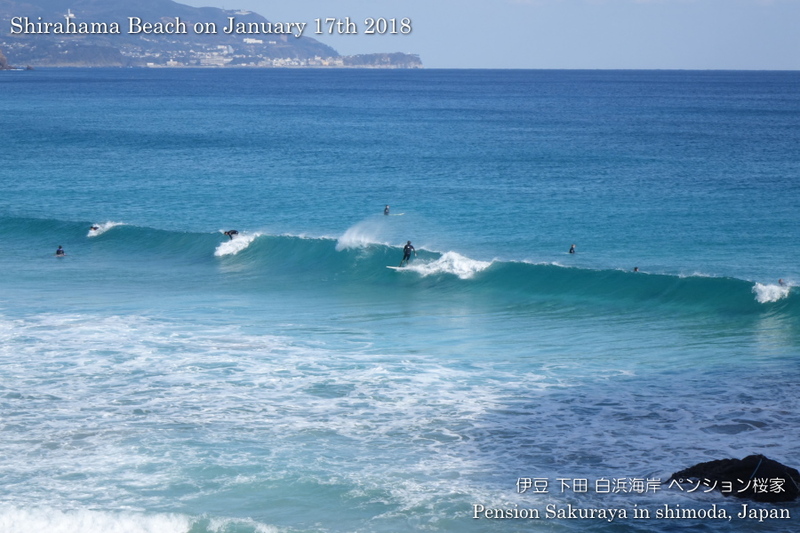 Today they had off shore wind and sometimes had a little good waves. 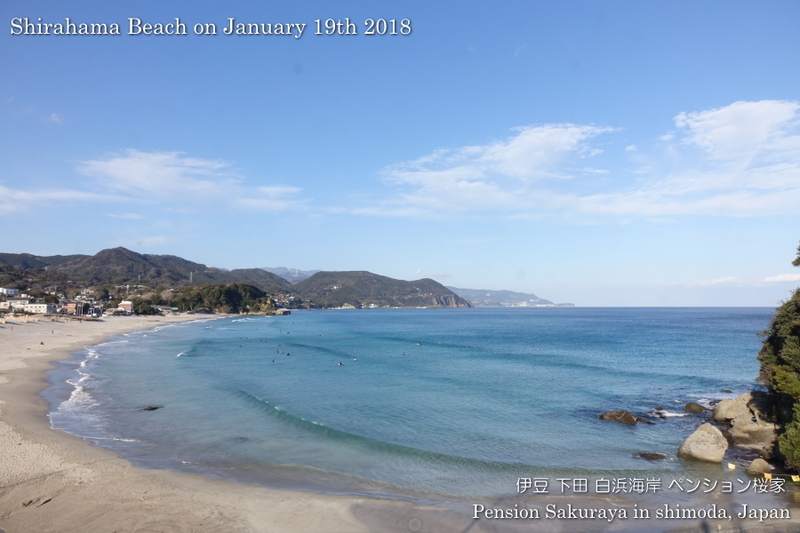 The water was clear and very beautiful! 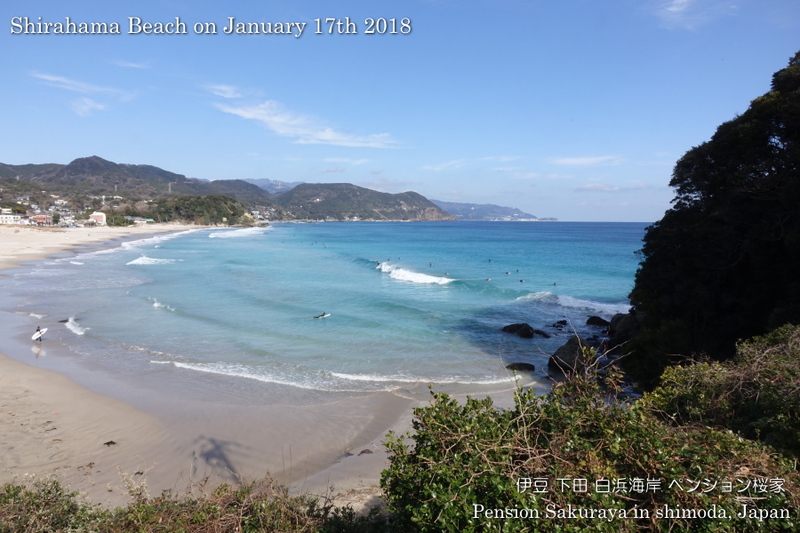 This entry was posted in beach on 2019年1月17日 by izusakuraya.